February | 2014 | Mothers Against Wind Turbines Inc.
BP has dropped its plans to put $300 million worth of windmills in the town of Cape Vincent. BP Wind Energy wanted to develop a 200 to 285 megawatt wind power farm in the town. The decision to “terminate” the project comes after years of controversy in the community. 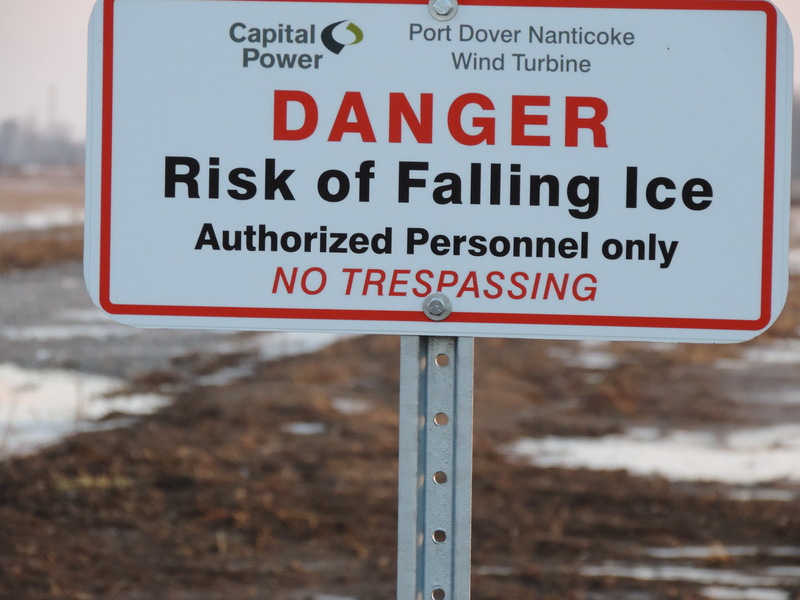 BP has been trying to sell its wind projects and decided to abandon the one in Cape Vincent. Town councilman John Byrne was among those against bringing a wind farm to Cape Vincent. Plans for the wind farm began almost a decade ago and ever since, the project has pitted neighbor against neighbor in Cape Vincent. Read rest of article here. Our collective objective in writing this letter is to express in the strongest possible terms our opposition to the proposed Bill 83, also known as “anti-SLAPP legislation.” We believe that this legislation will create a climate in which radical activist groups can make false claims about a range of industries on which our communities depend, while enjoying protection from any legal opposition. Simply put, this bill will destroy the livelihood of northern families through the loss of jobs and will discourage investment in Ontario threatening sustainability, particularly in the resource, energy and heavy manufacturing sectors. TORONTO – The Ontario government will take a “moderate” approach to balancing the provincial budget that doesn’t cut spending at the expense of municipalities, Premier Kathleen Wynne says. Do No Harm & Do Unto Others; The Modern Twist of Man, Nature and Wind Turbines. February 2013 saw the first of the Industrial Wind Turbines erected for the Summerhaven Project by NextEra in Haldimand County. Port Dover & Nanticoke Wind project was also concurrently being rammed onto the fabric of the rural landscape. The massive turbines joining the increasingly crowded Haldimand horizons creating a gauntlet of wind turbines placed in essential global migratory flyways along the shores of Lake Erie in southern Ontario. The onslaught of wind turbine installations and operations has continued to be unrelenting even to this day. Heavy machinery, an endless parade of gravel trucks, 230KV transmission lines to be erected on the very edges of front lawns in the Municipal right of ways, continues with the Grand Renewable Wind and Solar project (Samsung & Pattern Energy). They are now in the race to meet deadlines for their in Commercial Operation Date set by the secretive contracts signed with the Province. Well over 200 giant turbines and counting; each project seeing taller and larger machines and with no changes to the regulated setbacks to people’s homes. Every week that passes sees even more approvals for Wind Power projects being signed off by the Ministry of the Environment. Government at all levels remain deaf to the cries for help and objections from the unwilling host communities. The political dance of denial and sleight of hand is dizzying with the speed of changes in position and deflection of issues, as the balance of power shifts and turns as a elections looms for 2014. People who are forced to live without a voice in land- use decisions are a valuable resource for base votes for politicians that must court the scattered minority in small communities to sway the government balances of power. The construction chaos may have eased in parts of the county but it is now replaced by a growing chorus of complaints emerging about the turbine operations. Complaints ranging from nuisance, operational safety concerns, and to the more serious impacts of reported adverse health effects. This is compounded by the harsh climb in escalating electricity rates for all of Ontario as the price to be paid as the renewable energy projects power along unimpeded. Like a train without any brakes heading for an impending predictable and sickening crash. Precaution and prevention forgotten and perverted principles in the rush to continue the dying song for support of the Green Energy Act of Ontario. The reality for the individuals and families affected is worse than any anticipation and hits those hard who had never given the wind projects a second thought. Community discord easier to not acknowledge for those living out of sight of the massive machines in the adjacent towns. Sacrificing others who now live under the shadow flicker to the false crucifixes to all that ails the world. Night descends and the sky is alight with frantic blinking red lights from the turbines. A red light district spreading viral like across the land. Man has sinned and an atonement is made. Do no harm and do unto others has a new modern twist in the story of man and nature, in the sprawling footprint of the wind power plants. Queen’s Park – Haldimand-Norfolk MPP Toby Barrett and his Opposition colleagues are once again urging the Wynne government to stop the onslaught of industrial wind turbines and the damage they are doing, by implementing an immediate moratorium. Just a few hours later, the Ontario PC caucus issued a statement reaffirming its plan to scrap the Green Energy Act. Barrett went on to summarize his opposition to industrial wind turbines.